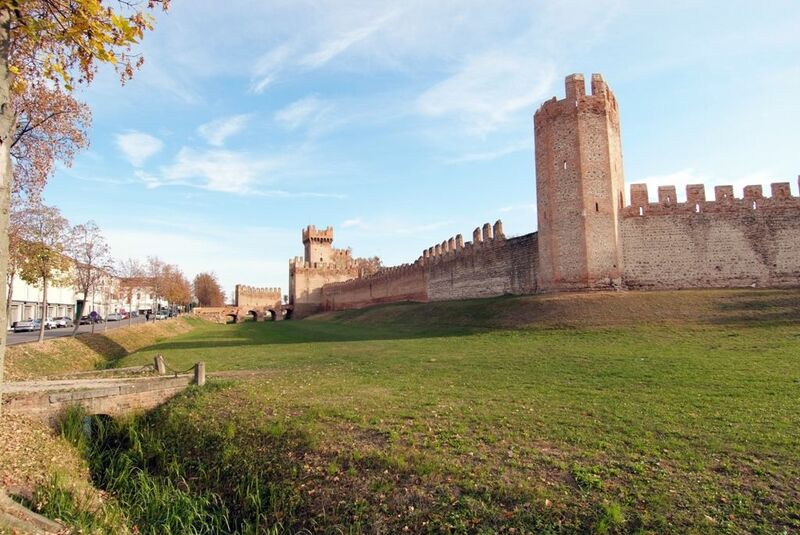 Of importance is the castle (1340) and its gardens, the square in the historical centre, the mansions (the Town Hall and the Palazzo degli Scaligeri) and the Tower. Well worth visiting is the Duomo Abbaziale di Santa Tecla (‘600-‘700), which conserves the remains of the Blessed Beatrice of Este and the altarpice of Tiepolo "Intercessione di Santa Tecla". A small medieval village which has preserved its 14th century aspect and was the home of the poet Francesco Petrarca during the final years of his life. His house is well worth visiting. 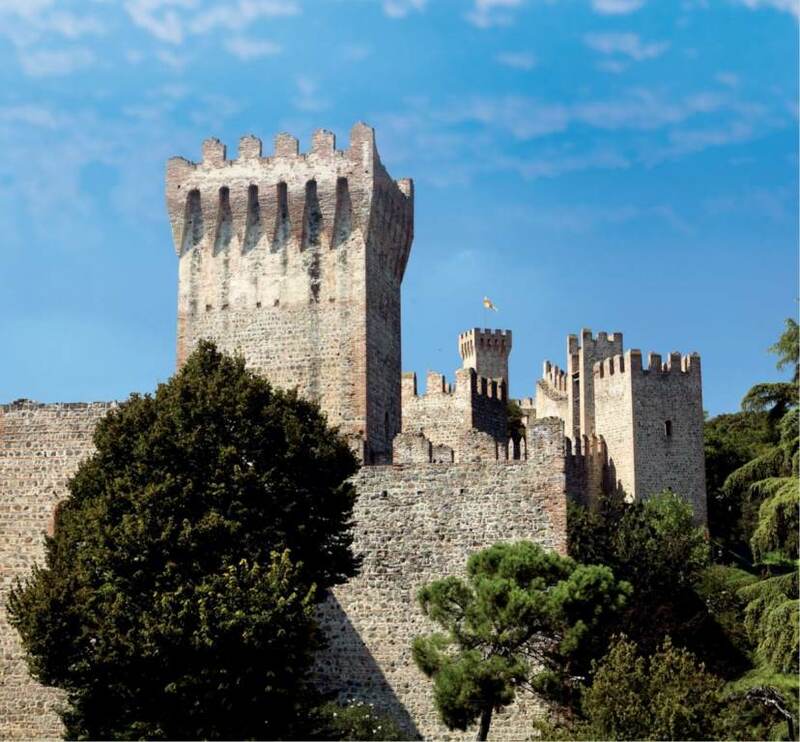 The castle is at the bottom of the Colle della Rocca and it is made up of various buildings from different eras. The mansion is dating from between XI and XVI centuries. 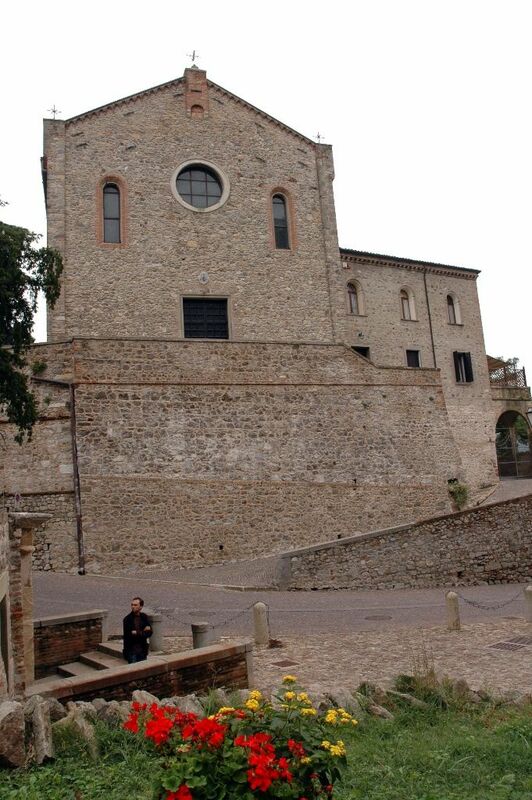 Of significant relevance is the powerful Ezzelinian Tower, a defensive structure requested by Ezzelino III da Romano. The visit follows the kitchen in the oldest part of the castle, a vast armoury, the Venetian courtyard and the library. From the 18th century monumental doorway you have access to the "The Courtyard of the Giants", which was often used as theatre scenography. On arriving at the main floor of the castle you enter a large frescoed room where you find the Obizzi family tree. The tour then continues to the large terrace, you go down the internal spiral staircase which has been carved in the rock. 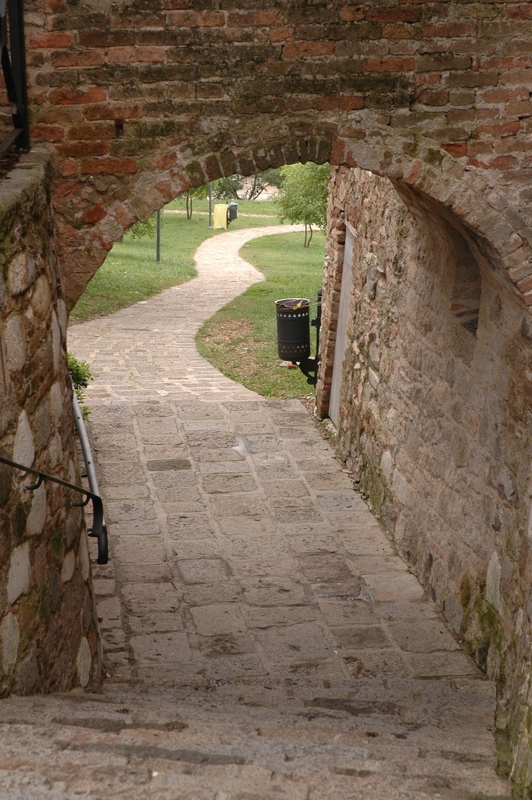 At the end of the tour of the internal part of the castle, you can stroll around the Giardino delle Delizie. The family of Counts Zaborra have lived in the castle, which is rich in private and historical memories, for more than 300 years. It was from here that the poet Gabriele d’Annunzio left and then returned on "crazy" Volo su vienna. 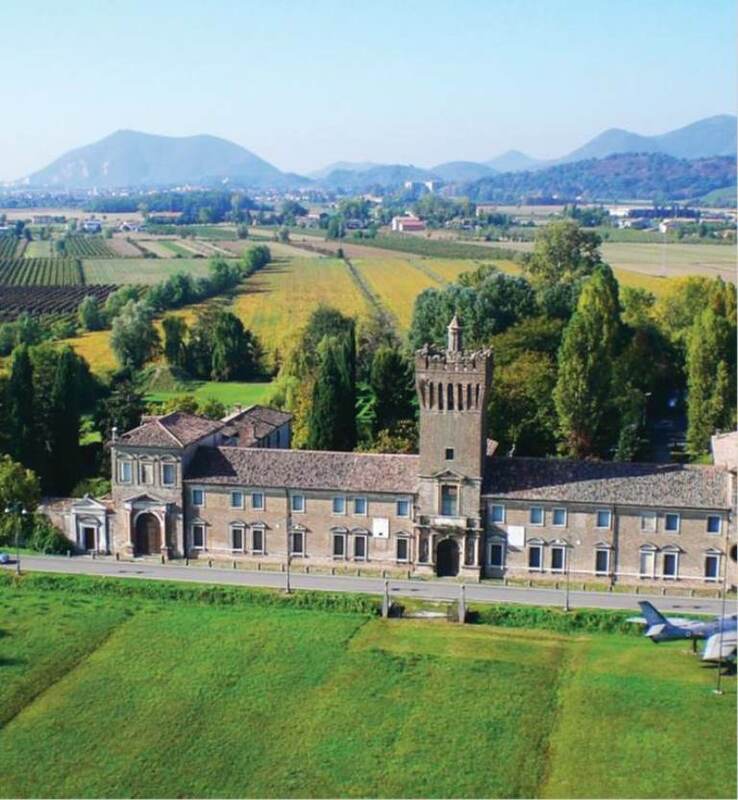 Since 1970 the villa has been restored and is now an air museum which follows the entire history of the flight of D’Annunzio, to which the main part of the museum is dedicated with the rooms where the poet lived between 1917-1919. 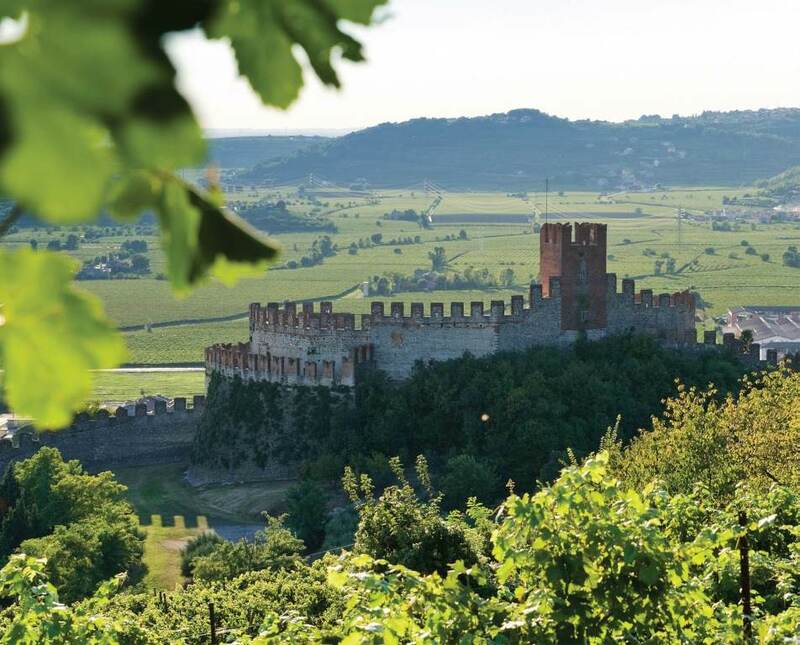 This medieval village in the province of Verona is mainly known for the production of Soave doc. Wine. The surrounding town walls date back to 1369 and they encircle the historical centre. 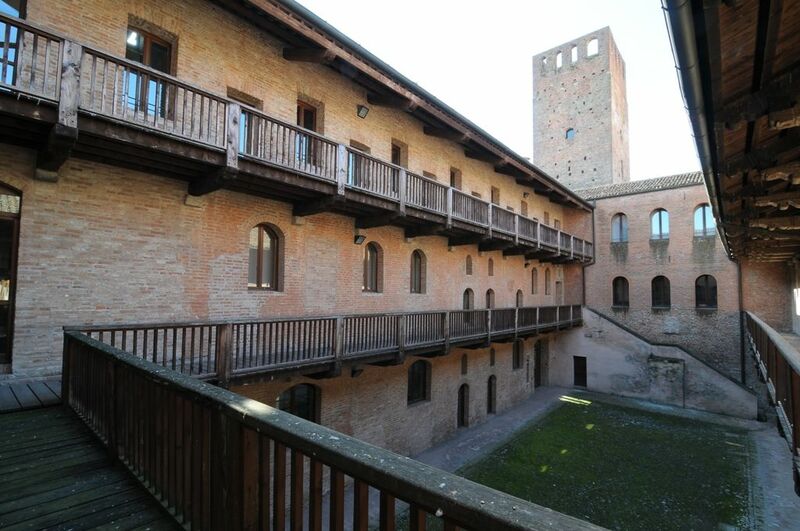 Of particular importance is the Scaliger Castle, a military structure characterized by 3 courtyards surround- ed by a wall which encircles the keep.